This update is a test update to validate Operating System servicing. After you install this item, you may have to restart your computer. 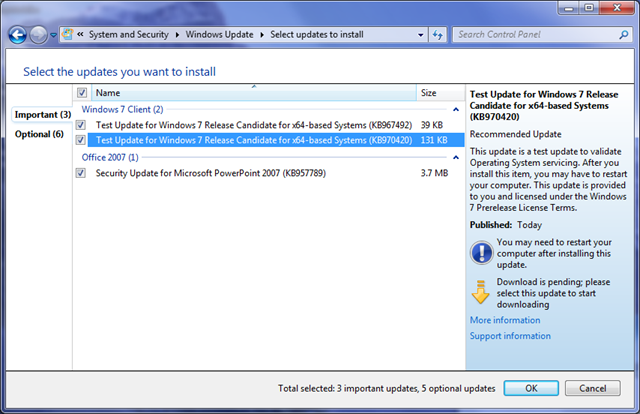 This update is provided to you and licensed under the Windows 7 Prerelease License Terms. According to Microsoft’s site, these are simply used to test updating in Windows 7 and, since they’re based on the same underlying operating system, Windows Server 2008 R2 Beta. If you’re interested in the technical details, click the links for each knowledgebase article above. After installation, it does not appear these updates affected my system. If you had any issues, I’d like to know! Lovin’ Windows 7! Intel’s Atom making it into budget desktops – begin the green price war? Intel’s Atom processor is an ULV (ultra-low voltage) processor making strides in the netbook market. Often teamed with wireless networking and a mediocre to decent graphics solution from Intel, ATI or nVidia, these systems make great budget PCs. Most of the time they come with Windows XP and a gig of RAM, although Windows 7 may change that game. Compaq offers a $249 desktop PC with a 1.6 GHz Atom processor, Windows XP, and a gig of RAM. It’s a nice looking box that likely has a very small power footprint. It even has a DC adapter (although I actually don’t know much about what that means)! I can see them bundling it with a monitor and printer for $299 soon… Nice for the budget market. I’m curious how Windows 7 will affect it, and I’m hearing good feedback that Windows 7 accomplishes Microsoft’s goal of running well on netbook-grade devices. For those of you looking for an affordable all-in-one desktop, check out Asus’ EeeTop PC – $549, wireless, and a touchscreen. That beats Dell’s StudioOne 19” and HP’s TouchSmart on price if you’re just looking for an auxiliary PC for the kids or kitchen. It isn’t a high-powered machine – so pay the extra money if you need performance for gaming, business applications, and the like. If you’re in the market for a budget PC, you can also save on software by checking out my post Finding Free Software For Every Task. If you want to see these in person, they have ‘em at Fry’s. You can get more information on each product’s respective Web site – click the images below to visit each product’s page. Continuing my series of Windows 7 Tips & Tricks, here are the final seven tips shared with us by Microsoft as part of the Microsoft Partner Program. Did you know you can have a slide show as your desktop background? What about the new Calculator? You can even literally shake your windows to make others get out of the way. Neat! Tip 1: Change the Scenery. Tip 2: Crunch The Numbers. Tip 4: Shake It Up. Tip 5: Clean Your Desktop! And Order It Too. Tip 7: Unveil Your Hidden Drives. Windows 7 allows you to personalize your desktop background to suit your many moods with a new shuffle feature for your desktop. You can program your desktop background to shuffle through your favorite images and get a change of scenery as often as you like. To enable the shuffle feature, right-click on your Desktop and select “Personalize,” then “Desktop Background.” Choose the folder where your favorite images or photos are stored and select as many as you like. Make sure you check the “Shuffle” box, and choose how often you’d like your images to shuffle. It’s a simple way to keep your desktop looking fresh and fun. The new Windows 7 calculator is a number cruncher’s dream. New functionality allows the user to not only calculate in the Standard and Scientific modes, but also in Programmer and Statistics modes. And that’s not all! Ever need conversion formulas for temperature, weight, area, or time? 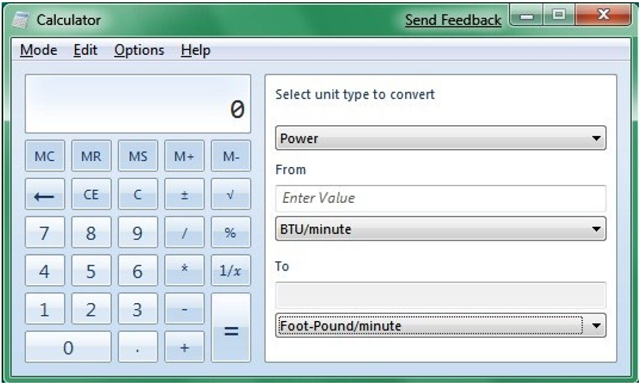 Finding the unit conversion option makes it a snap and takes all the work out of the user’s hands. There are even templates for gas mileage, lease estimations, and mortgage estimations. Windows 7 allows for several default printers in several locations. Your computer will choose the correct printer for where you are. No need to reset your default or remember what the printer name is; Windows 7 will figure out whether you’re at home or at work with Location Aware Printing. Remember the Etch-a-Sketch where you would shake it to make things disappear? Windows 7 uses the same shake concept to help you manage your windows. Windows 7 Aero®Shake allows you to clear the inactive windows from your desktop by “shaking” over the window you’re working. Hover your mouse over the title bar of your active window, left-click and shake from side to side, and all your inactive windows will disappear. To bring them back, repeat the procedure and shake everything back into view. Clean Your Desktop! And Order It, Too! You’ve always been able to auto-arrange your desktop icons by right-clicking on the desktop and choosing “Sort By.” Now Windows 7 makes it even easier. To auto-arrange the desktop icons according to your default settings, simply press and hold F5. Order is instantly accomplished. Right-click any empty spot in your desktop, and you have the control to change the screen resolution. 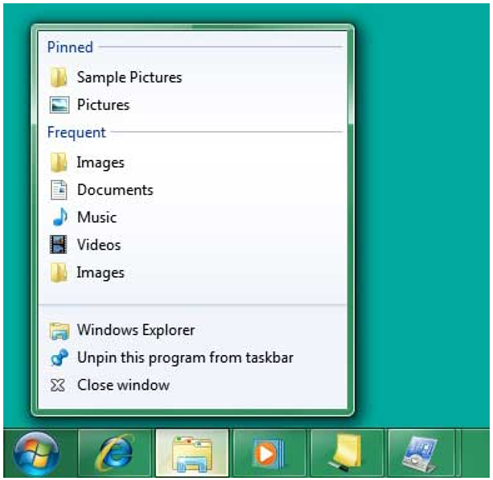 Last but not least, right-click the Taskbar Explorer icon to access your most frequently used folders. Want to see the drives that aren’t currently in use when you open My Computer? 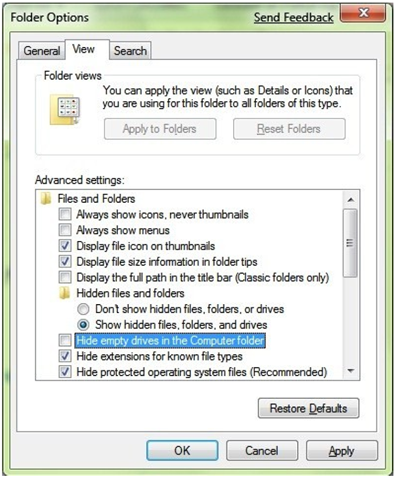 To display empty drives, click Computer → Alt to see the toolbar → Tools → Folder Options → View (tab) → Uncheck “Hide empty drives in the Computer folder.” And they magically appear! Below are a ton of Windows 7 Tips & Tricks shared with us by Microsoft as part of the Microsoft Partner Program. Did you know Windows 7 has built-in screen recording? How about control-clicking the taskbar to switch between windows? Read on and learn how you can get even more from Windows 7! I received three of these great documents, so this is part 1 of a three part series. Tip 1: Shuffling Through Program Windows. Tip 2: Managing Your Windows. Tip 3: Project Your Display With Ease. Tip 4: Multi-Monitor Window Management. Tip 5: Aero Peek Your Desktop. Tip 7: Help the Help Desk Help You. If you’re running a number of files from the same program, such as multiple documents in Microsoft Word, Windows 7 allows you to switch through these windows with ease. Simply press down on the Ctrl key while clicking the icon from the taskbar. Each click will change the window to the next in the sequence, in the order that you opened them. Windows 7 simplifies document and program management by allowing you to “dock” a window or manipulate its size with one mouse maneuver or a simple keystroke. To dock your window on one half of the screen, drag it to the left or right and it will change its size to fit that half of the screen. To manipulate the vertical size of a window, drag the window to the top to maximize it, or double-click the window’s top or bottom border to maximize it vertically while keeping the same width. You can also perform all of these functions with keystrokes: +Left Arrow and +Right Arrow dock to half the screen +Up Arrow and +Down Arrow maximize and minimize +Shift+Up Arrow and +Shift+Down Arrow maximize and restore vertical size. Windows 7 makes using multiple monitors as convenient as it should be. When you’re working in multi-monitors, use the keyboard shortcuts +Shift+Left Arrow and +Shift+Right Arrow to toggle between monitors. The new window will keep its relative position to the top-left origin of the original. 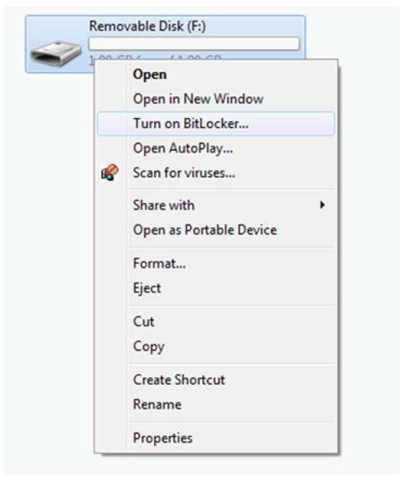 A lesser-known versatile tool introduced with Windows 7 is the Windows® Aero® feature, “Aero Peek”. Just click the rectangle in the lower right hand corner of the task bar for quick access to your desktop. The keyboard shortcut +Space performs the same function. We live with enough clutter in our lives. Windows 7 gets rid of all the superfluous windows behind your active window. Just hit +Home to minimize all inactive windows. To restore the windows when you’d like them, just press +Home again. Solving problems unique to a machine can be an arduous task for both the end-user and the help desk. 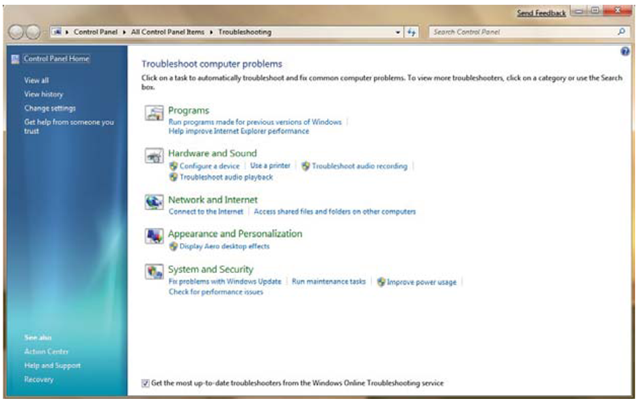 That’s why Windows 7 introduces the Problem Steps Recorder, a screen-capture tool that allows the end-user to record the problems they’re having step-by-step. It’s as simple as hitting “record” then adding in comments as needed. A HTML-based file is converted to a .ZIP folder, which is easily passed on to the help desk. The program is accessible from the Control Panel under “Record steps to reproduce a problem” or run psr.exe from Explorer.